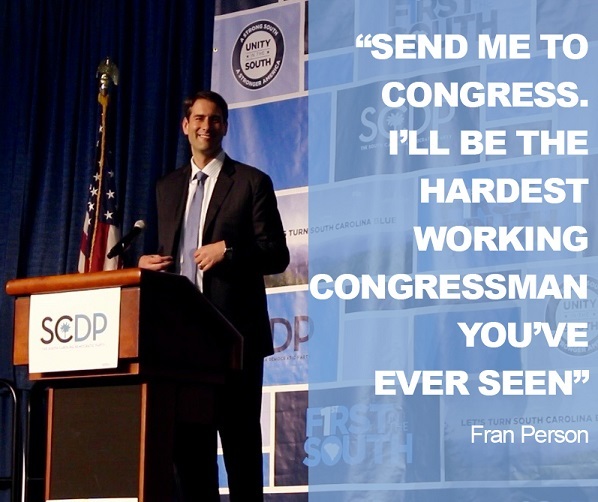 Fran Person breaks through the significant $400,000 milestone in nearly his 4th month campaigning, posting another strong fundraising quarter – raising $225,686 in the second quarter. Out raising the incumbent in the first quarter is virtually unheard of, and to follow that up with a strong second quarter is significant because it proves that Fran Person can sustain the momentum to raise the resources needed to run an effective campaign that can win in November. Further proof, the DCCC announced earlier this week that Fran Person and SC-5 was added as a Red to Blue emerging target race.